Real-Life Photos Of iPhone X Spotted In The Wild? The iPhone X is very real after Apple announced it a few weeks ago, but while we now finally know what it is called and what all the cool technology that will make people line up outside Apple Stores is, there is still plenty of demand for more information. The biggest question we have surrounds Face ID and whether it will truly be a worthy and capable replacement for Touch ID. While we cannot answer that question, we can at least try to satiate some of the demand for iPhone X news by sharing some photos of what is claimed to be an iPhone X in the wild. We say claimed to be because the photo was taken in Seoul and shared by a Korean news outlet called Insight. We all know that particular part of the world has companies that are capable of creating copycat hardware scarily fast, so it’s possible that this isn’t actually an iPhone X but rather a knockoff. However, the images do show what appears to be iOS and the Apple Calendar app, and those knockoffs don’t usually have software that is anywhere close to iOS. We’ll reserve judgement for now, though. The photos were taken when someone spotted a man noting down subway timetables using the “iPhone,” with that Calendar app in full view. Even though we are still a few weeks away from the iPhone X going on sale, it stands to reason that there would be some out in the wild while carriers and other companies test them. 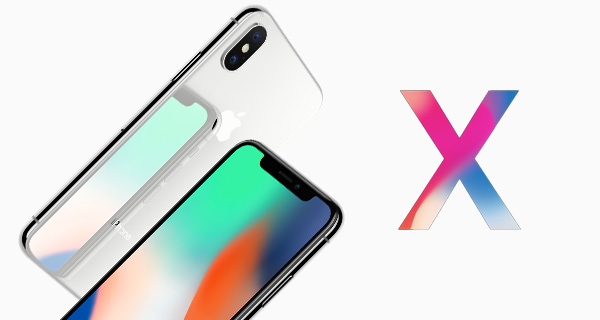 Apple does normally like to keep things to themselves, even putting prototype devices in cases to disguise their appearance, but given how the iPhone X is now plastered all over apple.com, that’s all a bit redundant at this point. The iPhone X will finally go on sale on November 3rd, with availability expected to be severely restricted. Sorry Steve. They don’t know what they’re doing.